Things are progressing quickly as the temperatures continue to rise. Last week we were able to finish post spraying the last of the corn and on Friday we finished side-dressing nitrogen. As we have in the past, soil nitrate samples were pulled and in most cases we were able to stick with our crop plan rates for nitrogen. We had to raise the N rates on about 1/3 of the farms due to small N losses. It has turned out to be a very nitrogen friendly year weather wise. 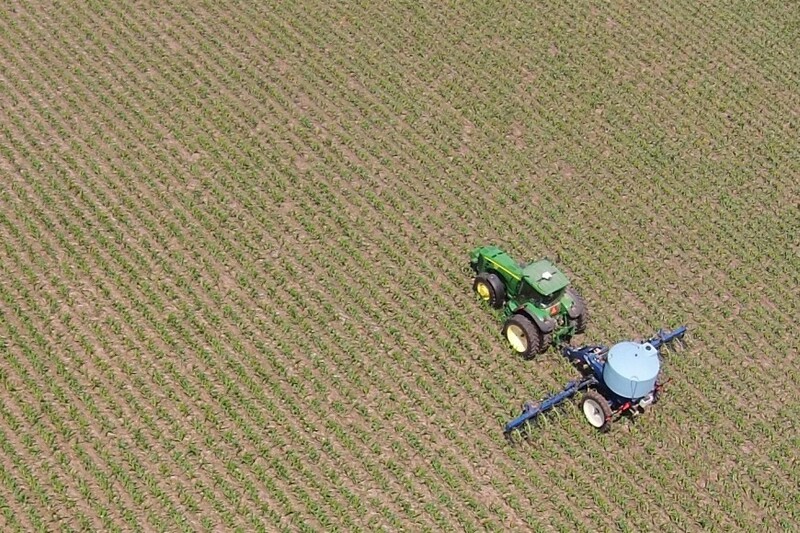 The Y-Drop Nitrogen application attachments have been put on the sprayer and we will be making some later season N applications in the next week or so to finish out the fertilizing of the corn. The beans are all up and look great. Working with Crop Tech we are “rolling” some of our beans. Basically they are using a 30′ heavy roller to smash the beans as they emerge hoping to injure them enough to cause branching, and in turn higher yields. 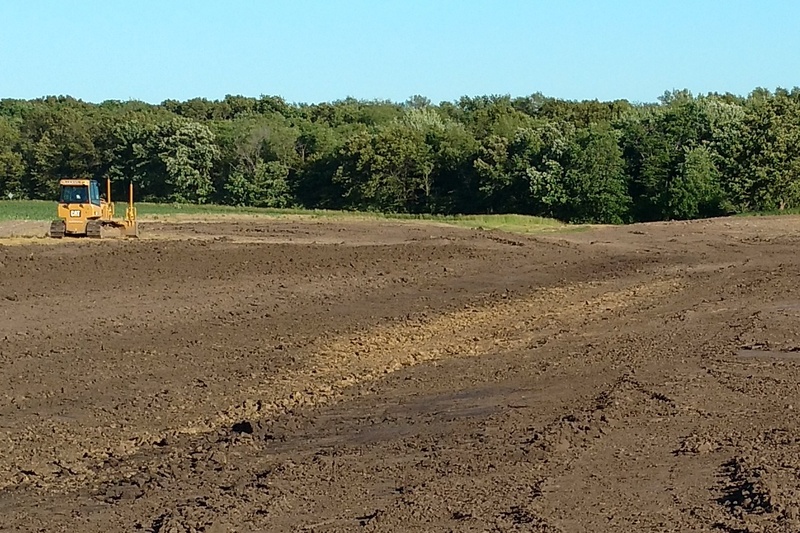 The test field has been rolled three different times so far with one to go. We’ll see how it pay’s, or doesn’t, in the fall. The waterway on the Wilson farm has been completed and looks much better. We hope for some cooler temperatures and could use some rain, but all in all things look pretty good.